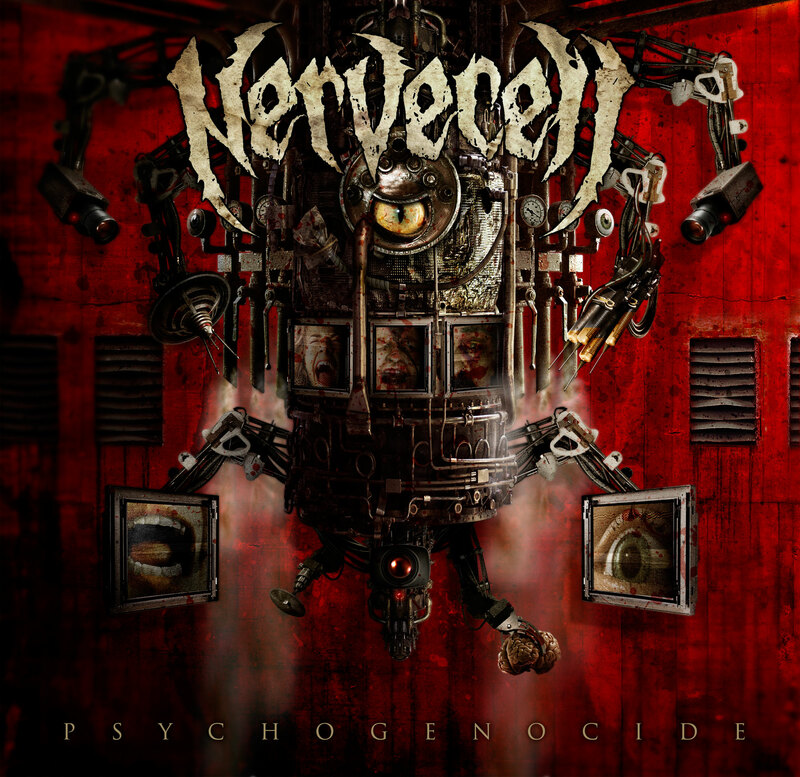 Dubai death/thrash collective, NERVECELL, reissue their critically adored Psychogenocide full-length via Unique Leader later this month. Applauded by Metal Hammer for their, “…thrilling contrast between oriental and musical culture,” called a, “must have for every metal hornet,” by Germany’s Legacy Magazine, and commended by Metal Observer for their, “strong focus on memorability and song structure,” the ten-track Psychogenocide was initially released in Europe via Lifeforce Records in 2011. Starting in 2000 as one of the first extreme metal bands to emerge from Dubai and having toured alongside legendary metal acts such as Metallica, Morbid Angel, Deicide, Decapitated and Suffocation, NERVECELL are true torchbearers for a Middle Eastern wave of metal. The band released their debut full-length, Preaching Venom, in 2009 via Germany’s Lifeforce Records (Europe) and Spellbind Records (Middle East) followed by their critically-adored Psychogenocide long player just two years later. Their unique blend of Middle Eastern death/thrash and a reputation for action-packed live performances helped pave their way to playing some of Europe’s most renowned festivals including Wacken Open Air, With Full Force, Rock AM Ring, Rock IM Park, Summer Breeze and Brutal Assault. The widespread success of Psychogenocide also resulted in NERVECELL being given the honour of being crowned the “All Time Best Selling Metal Act” in the Middle East and North Africa region, consequently receiving a plaque of recognition from Virgin Megastores (MENA) in January of 2012. Psychogenocide will be reissued worldwide on January 27th, 2015 via Unique Leader Records. Preorder your copy today at Unique Leader. This is death metal at it’s most extreme, impossibly fast d-beat drumming with monstrous vocal exhortation coupled with a mass of riffs. It is unrelenting, unforgiving and intense. Posted on January 7, 2015 November 17, 2015 by HalfEdgeMediaPosted in Album ReviewTagged Nervecell.